February is fast approaching which means that Valentine's Day is not the only reason to wear red. 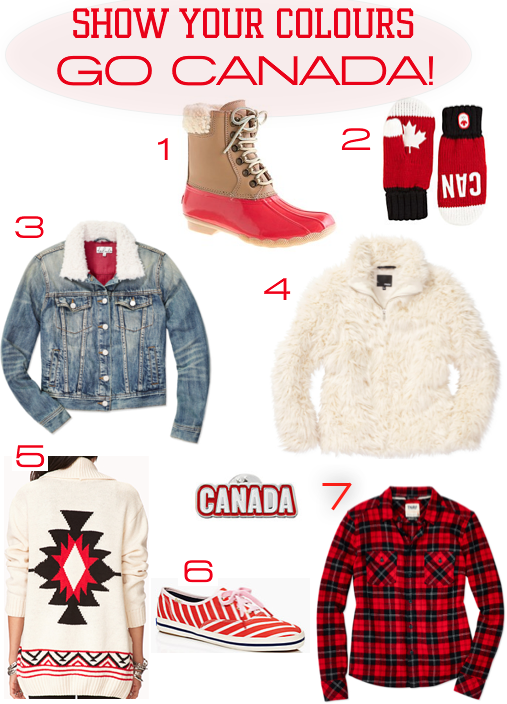 Us Canadians are ready to sport red and white to cheer on our great country at the 2014 Winter Olympics, and show how unified, strong and proud we are to be Canadian! Today the men's hockey team was revealed for Sochi which means the Olympic buzz is in full force! I know it may be a tad early, but I'm excited! I'm ready to show my support by sporting some pieces in our nation's classic colours. What about you?